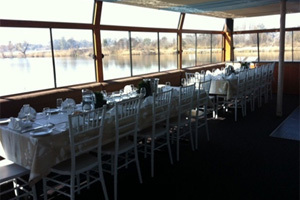 If you are looking for a fun and unique weekend getaway offering on the Vaal River, we have the best opportunity for you! The Prive’ and Fluxman Houseboats are permanently moored on the banks of the majestic Vaal River in Vanderbijlpark, providing the opportunity for a relaxing weekend getaway on the Vaal River – you won’t get any closer than this! Relax with the sounds of the water and nature that surrounds you while staying over in this modern and luxurious houseboat, furnished with everything you will need to ensure a comfortable stay. 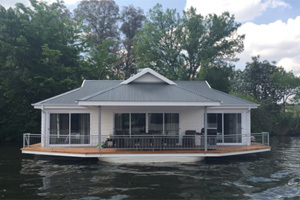 For more information about this houseboat and to book your weekend getaway on the Vaal River, contact us at Liquid Lounge today. 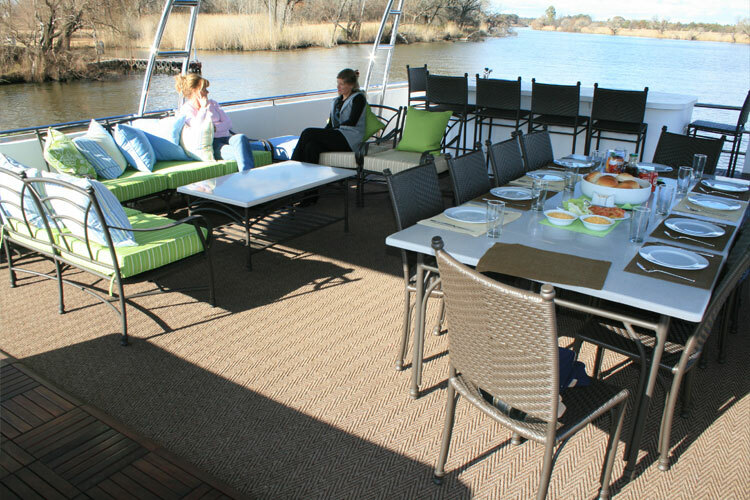 Breathtaking riverfront views, sunsets over the river and dining on the outdoor deck are what you can expect when choosing the Prive’ or Fluxman Houseboats as your Vaal River weekend getaway destination. The Prive’ and Fluxman Houseboats are suitable for a family of four each, featuring two cabins en-suite that are spacious and comfortably furnished. The boathouses also feature an open-plan kitchen, lounge area and large outdoor deck with a dining table and braai facilities. 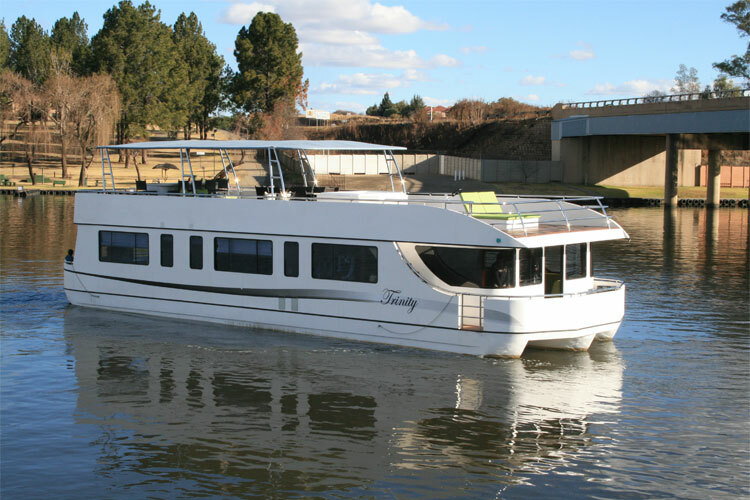 View our photo gallery of these exquisite houseboats, or talk to us at Liquid Lounge today for more information. 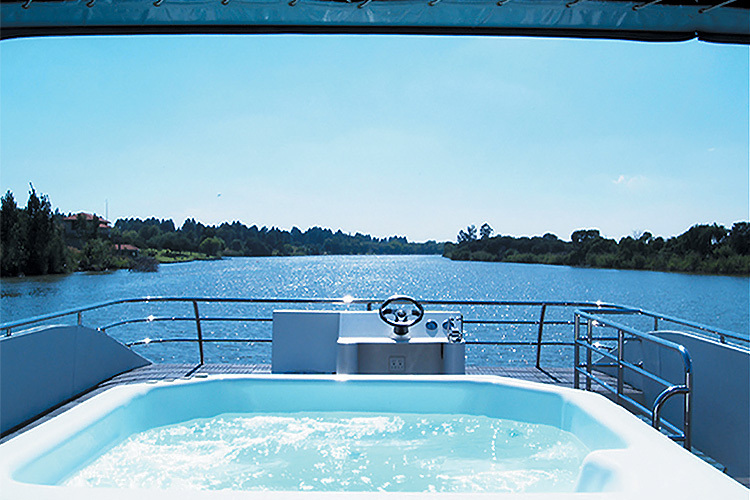 The Prive’ and Fluxman Houseboats offer the perfect accommodation option in the Vaal Triangle, for guests that wish to experience a weekend at the Vaal River. Enquire today for more information about our beautiful houseboats, and to book your weekend getaway on the Vaal River with us. This self-catering weekend getaway destination on the Vaal River is ideal for nature-lovers, and families looking for a fun and memorable stay surrounded by the beauty of nature. 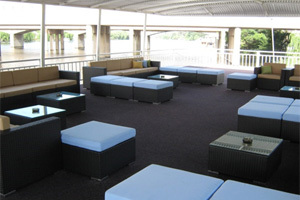 Guests can either enjoy the day lounging on the deck, or have some fun at the Emerald Resort and Casino, where the houseboats are permanently moored. The Emerald resort and Casino offers a number of entertainment activities for guests to enjoy, such as the Casino, Miniature golf, Aquadome, Ten pin bowling, Animal World and numerous restaurants to dine at. 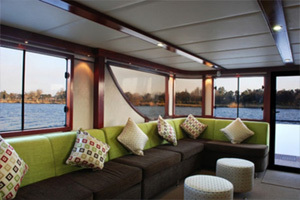 This makes our houseboats perfect for weekend getaways on the Vaal River. Read more about the Prive’ and Fluxman Houseboats, and entertainment at the Emerald Resort and Casino. Make sure that you book your stay on one of our houseboats as soon as possible, to avoid disappointment. Enjoy a spectacular weekend getaway on the Vaal River with your family or friends aboard one of our modern and unique houseboats. Contact us at Liquid Lounge for more information, and to book your Vaal River accommodation on one of our modern houseboats.